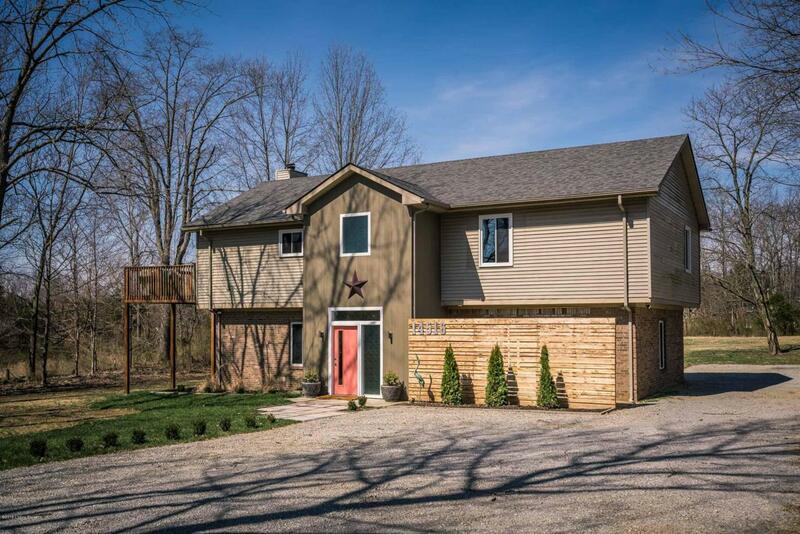 This beautifully renovated two story home in the East End is truly a hidden gem! Boasting over 2800 square feet of impeccably finished living space, this 4 bedroom, 3 bath home is an entertainers dream. From the moment you drive up the tree-lined driveway, you will be amazed at its unique character and gorgeous curb appeal. You'll love the brand new pavers and lush landscaping. The first floor has an enormous family room, full bath, and loads of storage. Down the hall is the master bedroom, which could double as a mother-in-law suite, and a full bathroom complete with ambient light and radiant heat floors. Outside you will find a private patio which truly makes this area a special oasis! As you walk up the stairs, you will notice the glass encased railingwhich leads you directly into the bright, open concept living area with a wood burning fireplace and dining area. The top of the line kitchen is outfitted with LG appliances, pickled oak cabinetry, granite countertops, and a raised breakfast bar. Three skylights add an abundance of light to the already bright space. The stunning spa-like bathroom is outfitted with an oversized walk-in shower, separate soaking tub, and a double vanity. Three spacious bedrooms, including one with a large walk-in closet, and a laundry room round out the second floor. The massive wrap-around deck is perfect for gathering around the BBQ while enjoying the view of the almost 2 acre lot. This home has a new roof, new windows, a new hot water heater, and so much more! Welcome home!